ARTICLE: Was there a national press in the UK during WWII? Historians have described UK’s press as being national during the Second World War. Tom O’Malley of Aberystwyth University questions the idea whether there was a national press in the UK during that time. The article studies aspects of the industry that made it appear to be national and those which did not. 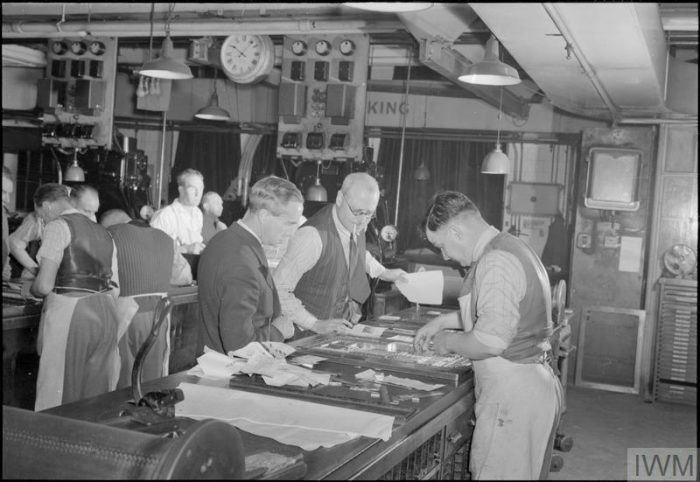 In terms of organisation, content, and relationships with government and advertisers, newspapers functioned during that time more like a national institution. The idea of a national press however does not take into account how much newspapers varied at the time. Provincial press had an important role and differences in readership, geographical reach, political and social significance were considerable. “The variety of media, carrying different claims to being national, offered different ways of imagining the national, to audiences and readers divided by class, age, education, gender and geography, as well as national identification“, the author concludes. The article “Was there a national press in the UK in the Second World War?” was published in Media History and is available online (free abstract).